Our breads are on the table at several Los Angeles area farmers markets including Wednesdays in Santa Monica and Sundays in Hollywood, Atwater Village, and Beverly Hills. Click on the map for specifics. Our Roan Mills Bakery, located at 411 Central Avenue in Fillmore, is open for walk in or preorder business every Wednesday and Saturday from 7a to 4p. 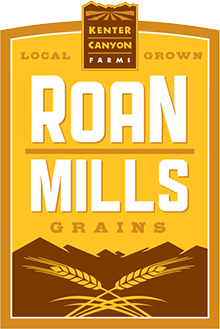 For wholesale inquiries regarding bread, grain and flour please contact andrea@roanmills.com.